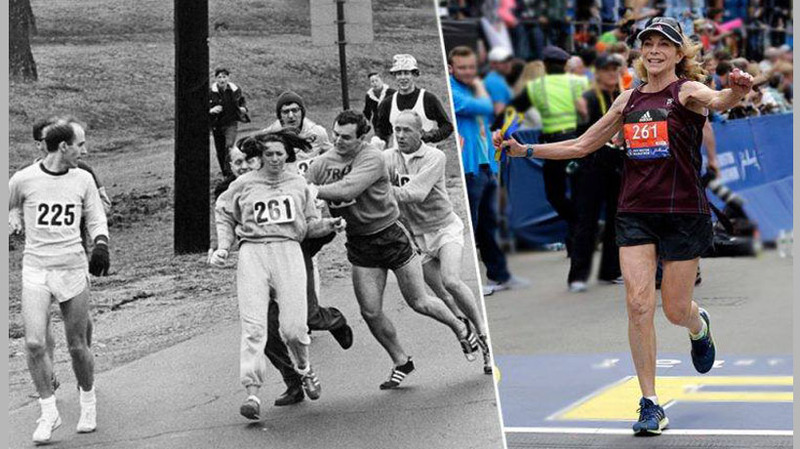 With bib number 261 taped to her chest, Katherine Switzer joined the population of men at the starting line, during the 1967 Boston Marathon. However, this wasn’t a usual routine for female runners. In fact, this was the first time a woman officially registered and ran for the Boston Marathon, under the initials, K.V Switzer. This moment in time is not only remembered for her courageous act of determination, but what proceeded her decision to take part in the race. According to the website for USA TODAYtoday, Switzer was a student at Syracuse University, which had no women sport programs at the time. 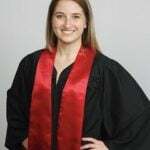 She asked the men’s track coach if she could run for the men’s track team, which he was unable to allow, due to NCAA rules. However, he did allow Switzer to train with the team. He coached her every day, motivating her to run a longer distance each time, and not focus on the speed. Switzer voiced that she wanted to participate in the Boston Marathon, but her coach insisted that a woman could not take part. The coach decided to make a deal: — if Switzer was able to run 26.2 miles in practice, she could prove to him that he could take her to run in Boston. Driven by the challenge, Switzer far succeeded that goal. She would be off to race in Boston beside her coach and boyfriend. Only a mile and a half into the race, Switzer was attacked by a race official. Shouting and grabbing her sweatshirt, he attempted to remove the bib number from her chest. This was all due to the fact that she was simply a woman. Luckily, her boyfriend held the race official back, as her coach instructed her, to “Keep running!” Switzer officially became the first woman to complete the Boston Marathon. As a resultconsequence, women were officially allowed to enter the race in 1972.